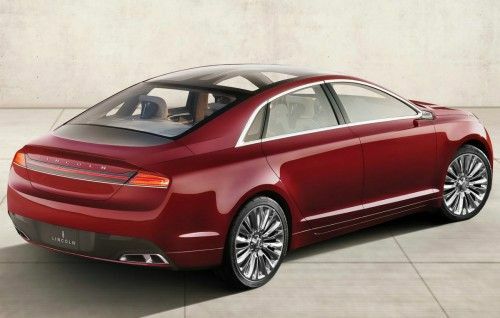 Lincoln will unveil its 2013 MKZ at the New York Auto Show next week, and the automaker confirmed earlier this week the highly anticipated car will debut a wide-opening panoramic glass roof. Here is the video showing the retractable roof. Lincoln has released a video showing the new glass roof just before it’s officially revealed at the New York Auto Show that starts next week. The prototype has been seen with this very large retractable roof for quite some time now, and the automaker has now given us a look at this unique feature. Even though glass panels aren’t all that new, and many cars today sport them, the retractable roof on the 2013 Lincoln MKZ moves the 15.2 square feet glass panel with grace. Lincoln says the expanse of glass that covers the roof is one of the largest retractable glass roof panels in a production sedan. The video, released by Lincoln, shows the retractable glass roof in action, easily gliding open and closed. The roof rides along two parallel rails and Lincoln says it takes two motors to open or close the roof. The whole opperation takes just ten seconds. The roof even moves on its own, sliding forward eight inches at speeds over 40 mph to minimize wind noise and turbulence in the cabin. Ford made an announcement on Friday in Mexico that it will invest $1.3 billion and hire 1,000 more workers at its Hermosillo, Mexico, plant as it launches the all-new 2013 Ford Fusion and Lincoln MKZ. The 2013 MKZ is touted as the first of a new generation of Lincoln’s, designed under the guidance of Australian designer Max Wolff. The all-new MKZ is the first completely new vehicle in Lincoln's strategy as the company tries to compete in the highly competitive luxury car market. "The Mid-size sedan market is significant, growing and one of the most competitive in the industry," said Mark Fields, president of the Americas, who was in Mexico for the announcement. The new horizontal grille and the retractable glass roof are among design cues Lincoln hopes to use to distinguish the MKZ in the segment. While it will be fun to test the new panoramic glass roof ourselves when we get a test vehicle later this year, we have to admit, it does look slick in the video. 2017 Lexus RX 350 AWD vs. Lincoln MKX AWD 2.7 Ecoboost Reserve – Which Crossover Is Best For You? 2017 Lexus NX 200T vs. Lincoln MKC Black Label – Which Is Your Crossover?